On this page, you will find responses to frequently asked questions about our competitive grant process. We periodically update this section of our website with new questions and additional responses. Please check back for updates to these FAQs before your next application. Is my organization eligible for a grant from the Community Foundation? The Community Foundation is required to fully review and evaluate all funding requests, resulting in a decision-making and approval process that normally takes several months. The grant review committee reviews grant applications four times a year and presents recommendations to the board of directors at the board meetings in February, May, August, and November. A lack of requested information or an incomplete concept letter or application will delay the decision-making and approval process by several months. An agency can only receive one grant, unrestricted agency support or technology support, in a 12-month period. Exceptions to the one grant per organization, per 12-month policy, may be made in cases when the organization requesting funding serves as the fiscal sponsor for another organization. Why was my nonprofit's application declined? 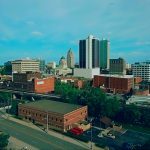 Each proposal is evaluated on its potential value to Allen County; the quality of planning, leadership, support, and vision expressed; the relative need for the program proposed; and the current funds available for distribution. Due to the large number of funding requests, the Community Foundation can fund only a small portion of the requests received. An unsuccessful application does not reflect the worthiness of a particular project. My funding request was declined, can I reapply? If your concept letter was declined, you may apply again during the next quarter. If your application was declined, you may apply again one year later. We strongly encourage all organizations to review our new guidelines, and to contact us to talk about potential fit prior to submitting a concept letter. If one or more members of the Community Foundation's grant review committee attend the site visit, does it mean we have a better chance of funding? No, grant request funding depends on many factors. We like to have at least one member of the grant review committee attend our site visits whenever possible. If an advisory committee member attends the site visit your organization will have two individuals who know its work well, rather than one, at the meeting at which funding is decided. The number of attendees at the site visit however, is not an indication of funding chances or likelihood. How many people should I have present at the site visit? How do I choose who attends? Too many people can overwhelm a site visit and also extend the time by quite a bit. We recommend against having more than three or four people. Your program officer will make suggestions about the individuals you might include, such as a board member or a program participant who can provide valuable perspectives on your work. Someone else from the Community Foundation may accompany the programming staff, such as another staff member, a member of the advisory committee that will be reviewing your proposal, or a donor. If this is the case, the Director of Programs will let you know who else will be coming. How should I prepare for a site visit? You are the expert about your organization, so you will probably be able to answer most questions with little difficulty. The most important thing is to re-read your proposal and to have it available during the site visit. Try to imagine what kind of questions you would ask if you were just learning about your organization. Some staff or consultants develop a list of questions that they will forward to you before the site visit, but there are always questions that arise spontaneously during the discussion. A site visit is not a test, it’s a discussion designed to help inform decisions related to grants and to learn from one another regarding a specific area of work. If, at the site visit, there is some information you don’t have readily available, it can be supplied later. Are there different types of grants for which I can apply? We accept grant requests for Agency Support and Technology Support at this time. Agency Support Grants have broad funding guidelines and may be used for general operating support or existing programs and projects. Agency support requests are eligible for multi-year awards of up to $75,000 a year for three years, totaling no more than $225,000. * Agencies that receive a multi-year award are not eligible to receive another agency support grant from the Community Foundation until the multi-year grant has expired. * At this time grantseekers are encouraged to ask for single year funding rather than multi-year funding. Technology Support Grants may be used for the purchase of computers, computer-related technology, telephone systems, audiovisual systems, security systems, etc. Technology support requests are eligible for single year awards of up to $50,000. Technology requests with financial support from more than one funder are encouraged. What are the funding priorities for the Community Foundation? Promote volunteer participation and citizen involvement in community affairs. What does the Community Foundation NOT fund? Funding for sponsorships, special events, commercial advertising, films or videos, television programs, conferences, group uniforms, or group trips. What if I miss the 3 pm deadline for my concept letter or grant application? We strongly encourage grantseekers to submit their concept letters as early as possible. We do not accept e-mailed or faxed concept letters. Please schedule enough time to secure the required signatures for the Concept Letter Fact Sheet. In fairness to all, we do not accept late and/or incomplete concept letters for any reason. See the Grant Schedule for concept letters deadlines. Does the Community Foundation fund capital campaigns? Have previously been vetted by the grant review committee for annual support. In addition, any organization may use unrestricted agency support grant proceeds for any purpose, including for capital purposes. Can I apply for an Agency Support Grant and a Technology Grant? An agency can only apply for one grant, agency support or technology support, within a 12-month period. Does the Community Foundation consider requests from faith-based organizations? The Fort Wayne community is the home of various faiths. We are fortunate to have many faith-based agencies that serve our community, some located in houses of worship and some at separate locations. 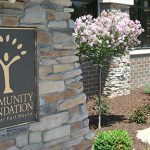 The Community Foundation, with its mission to “serve all the people of Allen County,” provides funding to faith-based groups that meet certain guidelines through the Community Grantmaking Fund and the Clarke Endowment Fund as well as various other funds it manages. The Community Grantmaking Fund and the Clarke Endowment Fund allow funding to religious organizations for charitable purposes; the funds do not allow funding for religious purposes. Grants and scholarships awarded from other funds at the Community Foundation are distributed according to their individual fund agreements, with recommendations from donor advisors, and final approval by the board of directors. Many of these funds do award grants and scholarships for religious purposes.These guidelines apply only to the Community Grantmaking Fund and the Clarke Endowment Fund. To assist your agency in determining its eligibility to receive funding from the Community Grantmaking Fund and the Clarke Endowment Fund, we have included a sample list of eligible program characteristics and descriptions of previously funded faith-based organizations below. The lists are not comprehensive and should be used only as a guide. We encourage you to contact the director of programs or the grants manager should you have questions about your agency’s funding eligibility. Eliminate required statements of belief from participants. A food bank serving the unemployed out of a faith-based ministry. Due to the limited amount of funds available, it is recommended that you request a funding amount similar to the amount you may have received in the past. At this time, grantseekers are also encouraged to ask for single year funding rather than multi-year funding. If your organization has never received funding from the Community Foundation, it is highly recommended that the funding request be under $10,000. Should you have any questions regarding your eligibility, funding opportunities, grant request amounts, or other questions, please contact program staff at 260-426-4083. Are there any unique Community Foundation initiatives? Depending on the grant funds available, and in response to community needs identified by the Community Foundation, the foundation may, at times, award multi-year and/or larger grant amounts than those listed on the previous page. Additionally the foundation may award special grants to organizations that have not submitted a grant request. These situations occur in rare instances and only through the initiation of the Community Foundation. All grantseekers are advised to follow the timetable guidelines and limitations listed on the grant calendar. The Community Foundation is interested in the impact of its grantmaking to area nonprofit organizations and the community. Recognizing the importance of effective evaluation, grant evaluation should augment your organization’s ongoing planning and evaluation process. Full financial accounting of the expenditure of grant funds and narrative reports on the grant-supported projects are required as a condition of the grant. If the program lasts for more than six months, interim or progress reports should be submitted. They may be brief but should include a financial summary, indicating how foundation funds have been expended during the period, and a narrative comment on development of the program or project. A final report is required within 60 days after the end of the grant period. This report should include a complete financial statement showing all funds received and expended for the programs covered by the grant, and a narrative report on the project and its significance and success. The financial and narrative reports should, in each case, compare actual expenditures and accomplishments with the budget and objectives cited in the original proposal. Failure to submit the report by the specified date could result in a loss of future grant dollars. Upon receipt of completed applications, requests go through a competitive grant review process. 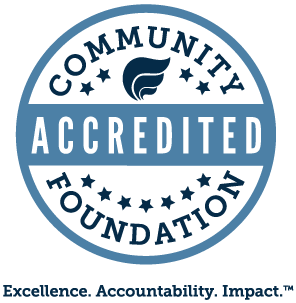 As a steward of community dollars, the Community Foundation requires thorough evaluations of all requests received. The evaluation process may include requests for additional information, site visits, third-party interviews, and other steps as deemed appropriate. Final decisions on all grant requests rest with the board of directors on the advice of grant review committee recommendations. When will I find out if my agency has received a grant? Due to the volume of requests, program staff will not call to inform grantseekers of funding decisions. Grantseekers are invited and welcome to call program staff to discuss the agency’s funding status on or after the dates listed in the Grantmaking Schedule. The agencies will also be notified in writing as indicated in the Grantmaking Schedule. Who can I talk to at the Community Foundation about grants? 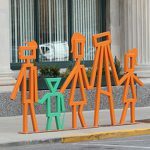 As part of its mission, the Community Foundation strives to serve as a community leader and convener to help create a brighter future for the residents of Allen County. We welcome opportunities for our board and staff to learn more about the needs of the community. 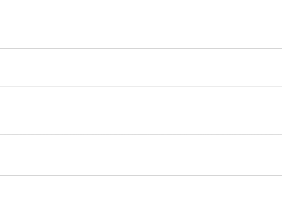 At the same time, please keep in mind that the Community Foundation strives to maintain a fair and equitable grant application process, equally open to a broad range of charitable interests. The only method to apply for funding from the Community Foundation is through the application process described in this document, and only information included in this process will be used by our volunteers in their funding decisions. As outlined in Community Foundation policies and procedures, staff and volunteers must report all conflicts of interest and abstain from funding deliberations accordingly.